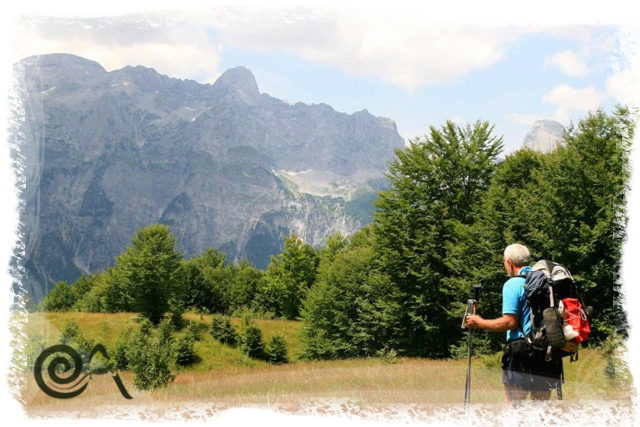 The Peaks of the Balkans or The Albanian Alps are a hiker’s paradise. 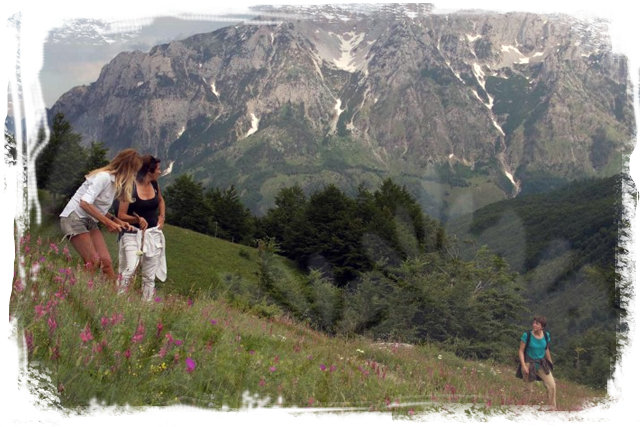 Make your way to Valbona on a boat through Koman Gorge and begin the eye-dropping walk to Thethi. Look up and watch the eagles fly over you. As you are getting deeper and deeper into the mountains you will notice that this area is the home of a large population of mountain goats. See them scramble down the steep rocks as if they have the Alps all for themselves. 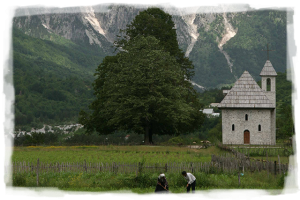 The most popular treks are ‘Walk from Valbona to Thethi’ and the Local Village House Trek. They both include a spectacular ferry ride over Lake Koman. This is a world-class boat ride that you don’t want to miss. 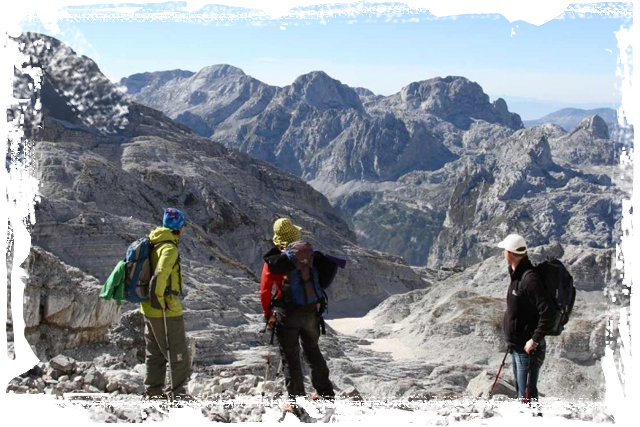 If you want to create your own custom hiking tour, or if you are an agent interested in this destination, you are welcome to please contact us! Please be careful! We want to keep this precious area as wild as possible. Be responsible and don’t disturb the animals. Leave nothing but footprints behind. 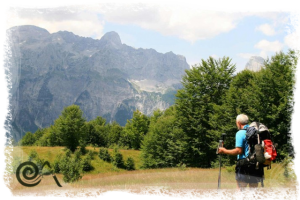 We will hike the classic pass of the Albanian Alps that has linked the two most known valleys of the area – Valbona and Thethi – for centuries. 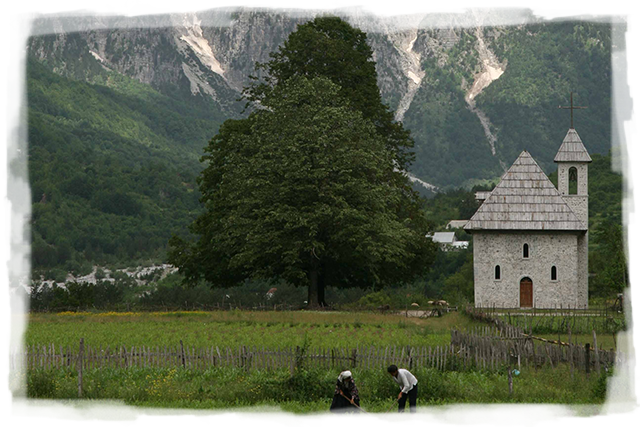 This two-week walking tour is for fit people who want to explore Albania in it’s full length, from the most Northern to the most Southern parts of the country.